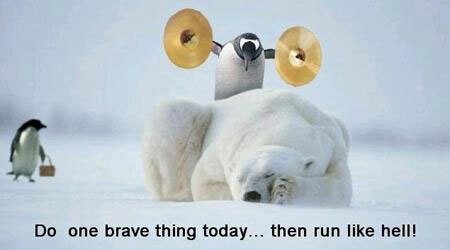 Do one brave thing today… then run like hell! Created about 7 yrs, 17 days ago (April 3, 2012). Updated about 7 yrs, 17 days ago (April 3, 2012).